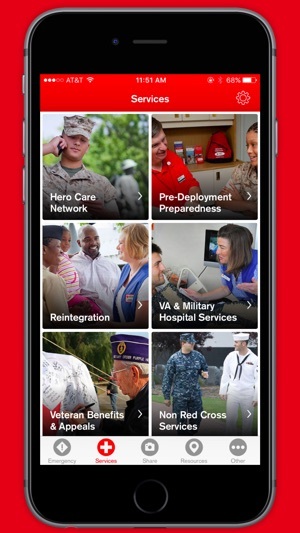 Hero Care by the American Red Cross is a complete solution for members of the military, veterans, and their families to prepare for, cope with and respond to the challenges of military service. 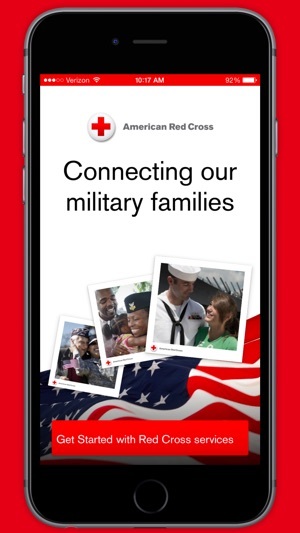 The Red Cross is the only civilian organization authorized to serve as the emergency communications link to service members with their families back home. 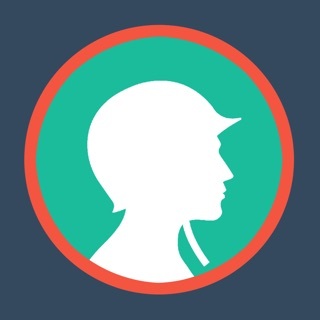 Hero Care enables families to easily set up and submit an emergency request should circumstances at home require it - 24 hours a day, 365 a year, no matter where in the world service members are stationed. 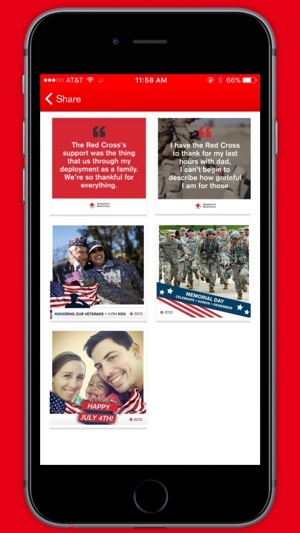 The app also guides users through the various services offered by the Red Cross to assist families before, during and after deployments, as well as containing a variety of other critical information:VA facilities locations, benefits information, mental health/substance abuse and job resources. 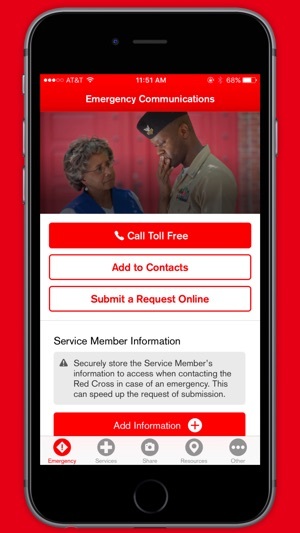 - Learn of the extensive and non-emergency array of services the Red Cross provides to the members of the military, veterans and their families, including: Financial assistance, Reconnection Workshops, Pre-Deployment preparedness, etc. 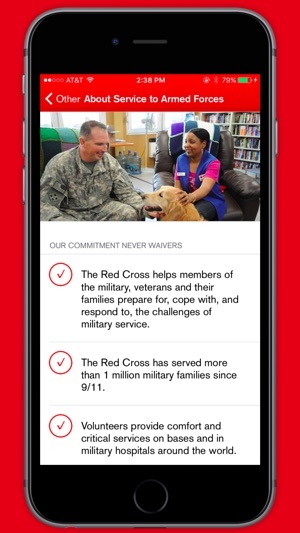 - Easily locate Red Cross shelters and offices in your community as well as a variety of VA facilities, including hospitals and benefit centers. We now support iOS 12! 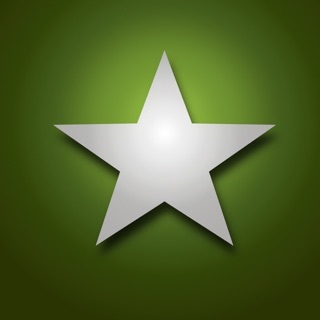 So after checking out the app, it is nice. 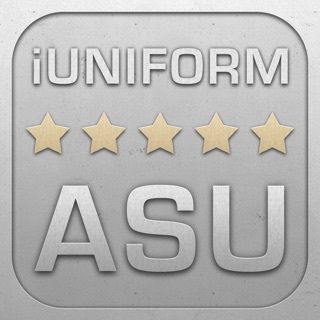 However, before deployment you are usually given the commanding officers information in case of emergency. This app just adds a middle man in the communication chain. I would have enjoyed this app the first deployment, but everything it offers I already have access to via the local base facilities. My son recently graduated from BMT and it's a good feeling knowing Red Cross is here when we need it. I received the email the day after we came home from Lackland AFB. It all worked out so perfectly. Thank you to all service members, past, present, and future.